Grease and food leftovers can clog the kitchen sink and other pipes, causing slow drainage. Clogged drain can be the result of hair or soap residue. Various objects may be flushed down the toilet and get stuck because they are too big to pass through the drains. Products that do not dissolve (swabs, dental floss, feminine hygiene products, cotton-tipped swabs) are also known to clog up the toilet waste pipe. Grease and food can clog any kitchen sink and drain causing slow drainage, while hair and soap can clog up your bathrooms and toilet making it inconvenient for your users. Other areas in your home that could cause backed up pipes and hazardous odors in are your laundry drains as well. A variety of small items, individually or together can deposit, stick together, and clog up your bathrooms, the sink, and the toilet making it inconvenient for you, the resident, or other guests and visitors to use the facilities at full capability. Other areas in your home that might have clogged, backed up pipes, or hazardous odors are your laundry drains, and outside, the cleanout drain (the cleanout overflow), or the main drain. They too require professional services of a drain cleaning company. At one point or another, every building requires drain cleaning due to blockage. Drain blockages occur due to a variety of reasons: grease and fatty substances washed down the sink and accumulate in drainage pipes thereby causing an obstruction. Drain blockage can be inconvenient and hazardous to your health. We will look into and fix cleanout overflow issues too. Tackling home repair projects require technical, professional tools, time, and expertise. If the pipes in your household drain slowly, don’t hesitate to call on Mountaineer Plumbers to come out and offer a professional drain cleaning, and let you get back to more important things. Enjoy your home and the fully functional convenience of its amenities as they were originally intended. Unclog Drains: At Mountaineer Plumbers, our drain cleaning service will help fix clogged drain issues by a skilled, experienced member of our team. With one phone call we will set up an appointment, look into the condition of clogged, obstructed pipes, and give you an estimate. If approved, we will then start the repairing process. Let us help you return obstructed pipes into, flowing, useful condition. There Are Number Of Reasons That Your Sewer Line Will Leak Or Clog Up. Tree roots grow in all direction in search of water source and your sewer line is the provider. The roots grow into your sewer line and block as well as cause leaks and any one of these issues will cause the sewer line to fail. Over a period of years, excessive food, grease and paper products that are not flushable can all get backed up in your line and create an obstruction that will cause backups and failures. Time is also a factor in getting your sewer line to fail. The conditions around and inside the line over time become a component in causing cracks and breaks. 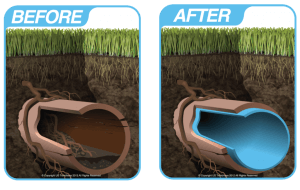 The easiest and most cost-effective way to prevent significant damage or clogging is to perform periodic maintenance on your sewer line. If you notice water leaking from the cracks, excess water in your basement, or slow drainage, call us for quality assured service. When it comes to sewer maintenance, we stand out. 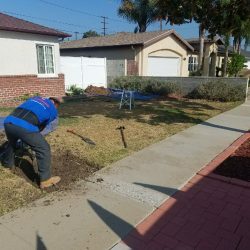 Our highly-trained and professional plumbers and technicians have the skills and high-resolution equipment needed for sewer maintenance, clean the sewer line, perform a video inspection, repair the line, and provide tailored biodegradable solutions to prevent damages and keep your drains clean. Our dedicated teams work hard to earn your business! Mountaineer Plumbers offers drainage and sewer maintenance service in and around the greater West Virginia area. Our professional and knowledgeable plumbers use the newest technology to do regular maintenance before they become serious problems. Whether it is a crack or a small clog, regular sewer line maintenance will prevent future damage or blockage, and give you peace of mind. Not treating the clogged drain can lead to more leaks or toxins even mold growing inside your drain which can be dangerous to your health and affect the overall quality of your life. That’s why it’s important to prevent unwanted clogging by performing routine drain cleaning.